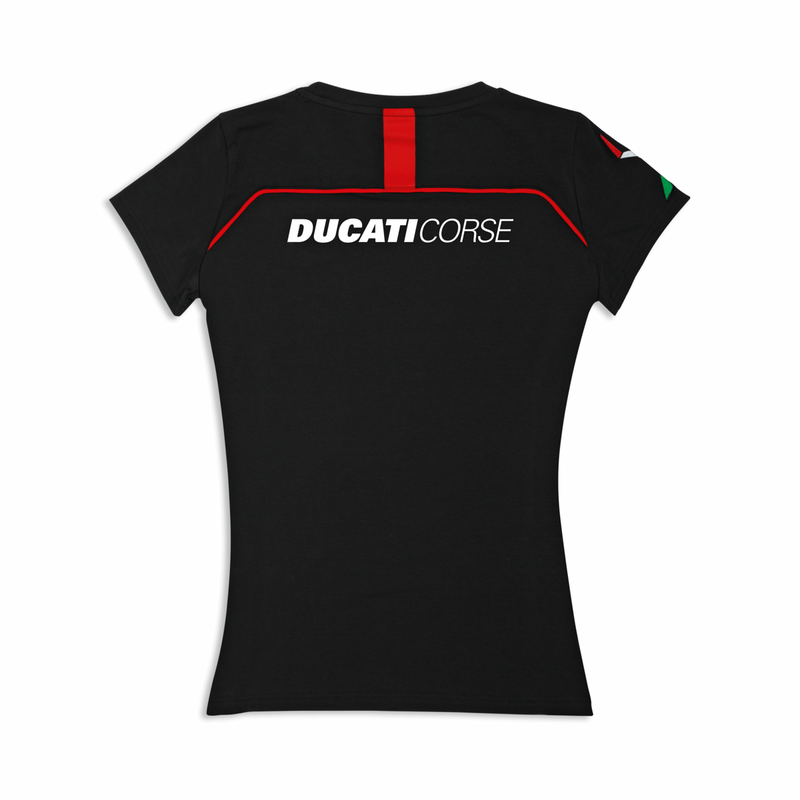 The Ducati Corse t-shirt is created in elasticated cotton, the black background adds value to the graphic elements that characterise it: the piping and band on the reverse, both red, inject energy. The white print on the back, the patch on the chest and the tricolour graphic detail embroidered on the sleeve enrich it, making it unique. 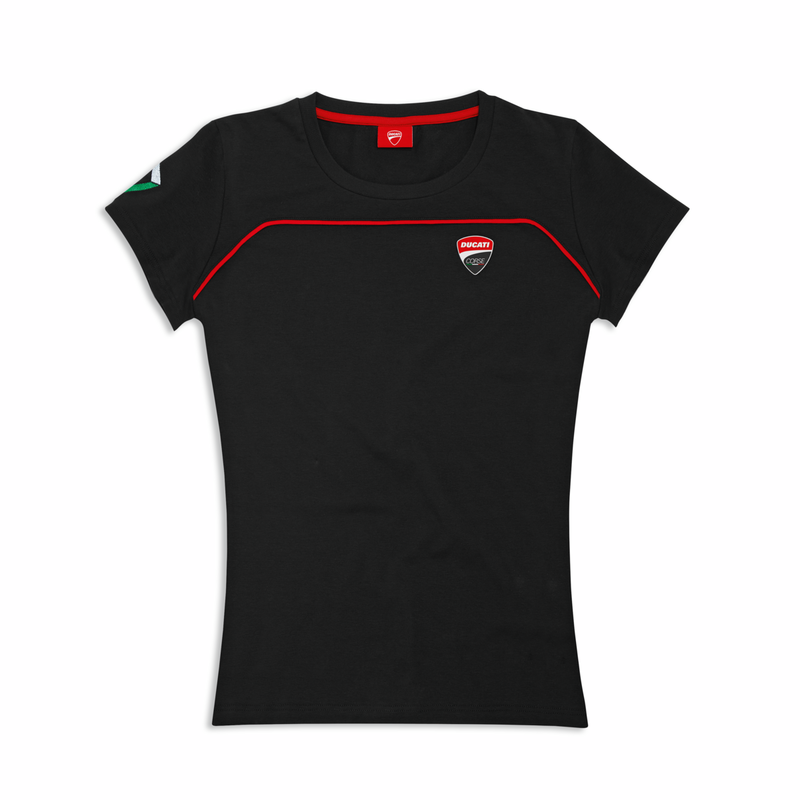 Material: 95% cotton, 5% elastane.